We’d love your help. Let us know what’s wrong with this preview of The Little Restaurant by Wang Anyi. Creating poetry out of the ordinary and the mundane, these stories are at once both stark and deeply lyrical. To ask other readers questions about The Little Restaurant, please sign up. First rate. Major global talent. I've never read anything quite like the title story, or any of the others for that matter. Character and situation (culture) driven literature. Really one of the finest writers of our times. Wang Anyi (王安忆, born in Tong'an in 1954) is a Chinese writer, and currently the chairwoman of Writers' Association of Shanghai. The daughter of a famous writer and member of the Communist Party, Ru Zhijuan(茹志鹃), and a father who was denounced as a Rightist when she was three years old, Wang Anyi writes that she "was born and raised in a thoroughfare, Huaihai Road." As a result of the Cultural Revo Wang Anyi (王安忆, born in Tong'an in 1954) is a Chinese writer, and currently the chairwoman of Writers' Association of Shanghai. The daughter of a famous writer and member of the Communist Party, Ru Zhijuan(茹志鹃), and a father who was denounced as a Rightist when she was three years old, Wang Anyi writes that she "was born and raised in a thoroughfare, Huaihai Road." As a result of the Cultural Revolution, she was not permitted to continue her education beyond the junior high school level. Instead, at age fifteen, she was assigned as a farm labourer to a commune in Anhui, an impoverished area near the Huai River, which was plagued by famine. Transferred in 1972 to a cultural troupe in Xuzhou, she began to publish short stories in 1976. One story that grew out of this experience, "Life In A Small Courtyard", recounts the housekeeping details, marriage customs, and relationships of a group of actors assigned to a very limited space where they live and rehearse between their professional engagements. She was permitted to return home to Shanghai in 1978 to work as an editor of the magazine "Childhood". In 1980 she received additional professional training from the Chinese Writer's Association, and her fiction achieved national prominence, winning literary award in China. Her most famous novel, The Everlasting Regret (长恨歌), traces the life story of a young Shanghainese girl from the 1940s all the way till her death after the Cultural Revolution. Although the book was published in 1995, it is already considered by many as a modern classic. Wang is often compared with another female writer from Shanghai, Eileen Chang, as both of their stories are often set in Shanghai, and give vivid and detailed descriptions of the city itself. A novella and six of her stories have been translated and collected in an anthology, "Lapse of Time". 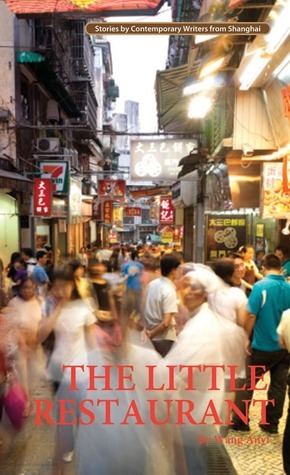 In his preface to that collection, Jeffrey Kinkley notes that Wang is a realist whose stories "are about everyday urban life" and that the author "does not stint in describing the brutalising density, the rude jostling, the interminable and often futile waiting in line that accompany life in the Chinese big city". In March 2008, her book The Song of Everlasting Sorrow was translated into English.In 2011, Wang Anyi was nominated to win the "Man Booker International Prize."